In recognition of Celiac Disease Awareness Month, we would like to bring some attention to some folks doing great work for those living a gluten-free lifestyle. 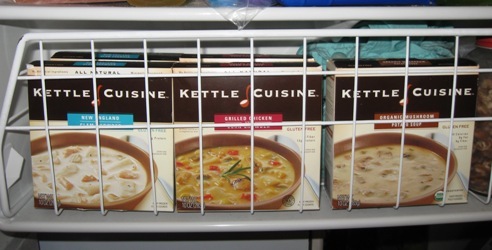 A few weeks back, I picked up a frozen Kettle Cuisine soup for a friend who was sick with a yucky head cold. I did not have the time to make homemade and I am fond of Kettle Cuisine’s foodservice products. I did not notice until I got home that the chicken soup was gluten-free, despite the noodles. Hmmmm? Rice noodles had taken the place of traditional egg noodles. Planning to work on a gluten-free/celiac awareness post, I checked out Kettle Cuisine’s website. 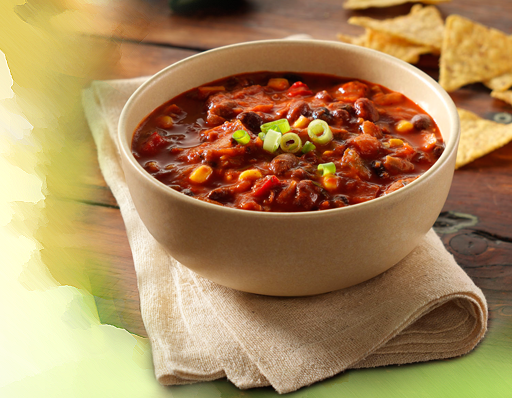 It turns out that Kettle Cuisine offers all kinds of soups, stews and chilis to meet certain dietary restrictions (gluten-free, vegetarian, low fat, dairy free). Friend and Fresh Samantha/Odwalla alum, Lawrence Traister, is now the Director of Consumer Goods for the Kettle Cuisine. He was kind enough to send me a bunch of samples. At some point, I am going to head down to Chelsea, MA. to see the kitchens/plant. Everything is made from scratch in a giant kitchen with an emphasis on locally sourced, all-natural and organic ingredients. Last week, several girlfriends joined me for “soup tasting” lunches. These soups have been met with nothing but kudos. People were especially fond of the chilis (Chicken Chili with White Beans) and chowders (New England Clam Chowder) likening them to something you would get at a restaurant. Some soups (Mushroom and Potato) are quite low in calories, only 140 calories per serving. Some of my tasters noted that these would be perfect if you were on a diet or for a healthy snack. Click here for a list of the ten gluten-free varieties Kettle Cuisines currently offers. Living with Celiac Disease is a reality for for 1 out of 100 Americans. Many people who suffer from celiac disease are undiagnosed. The only way to truly manage the illness is with a diet devoid of foods that contain gluten (wheat, barley, rye and oats). FMI – check out Celiac Disease Foundation.